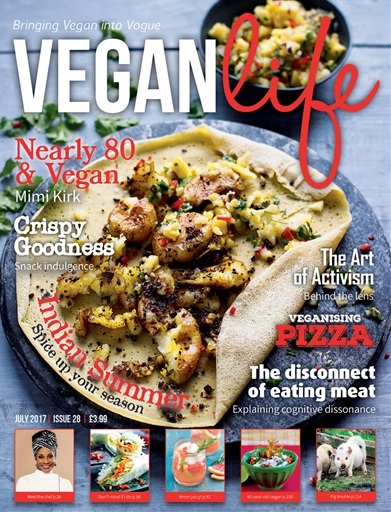 Welcome to the July issue of Vegan Life. We are constantly bombarded with ideas and images about the perfection of youth. There seems to be a golden age, after which people (mainly women) seem to become invisible in the wider eyes of society. But ageing is a privilege, and not one that everyone gets to experience. 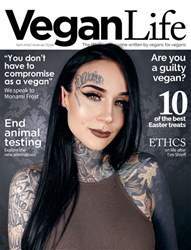 With this in mind, I wanted to look explore the world of older vegans in this issue. 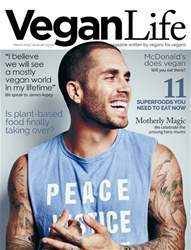 Veganism is often written off as a fad, or a trend for young people (or that most overused and clichéd of phrases: ‘millennial snowflakes’). Well, as we all know, compassion isn’t a fad, it isn’t for the weak and it certainly isn’t limited to the young. 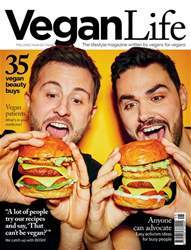 Inside we speak to some inspirational older vegans, as well as taking a look at the benefits and challenges of this lifestyle. Every issue we like to feature an artist, and I am really excited about the snapper we have spoken to this time. Anja Riedmann is an up and coming photojournalist and portrait photographer. Inside we share one of her recent projects - a series of portraits of activists. Her work is utterly compelling. On a different note, something a few people have talked to me about recently is when accidents happen, and vegans end up consuming animal products, often as a result of restaurant error. This can be extremely upsetting – but how do you deal with it? Our article digs into this topic. In this issue we are going global, transporting you around the world with recipes for Vietnamese pizza and Lebanese bread salad as well as reviews of new vegan destinations in London and Paris. Who says you need to board a plane to travel? Finally, we are exploring the use of microbeads in body scrubs and how they can impact on the health of our oceans. If you want silky, smooth skin this summer, without causing harm to animals or the environment, this feature is a must-read! We hope that you enjoy the issue. Below is a selection of articles in Vegan Life July 2017.